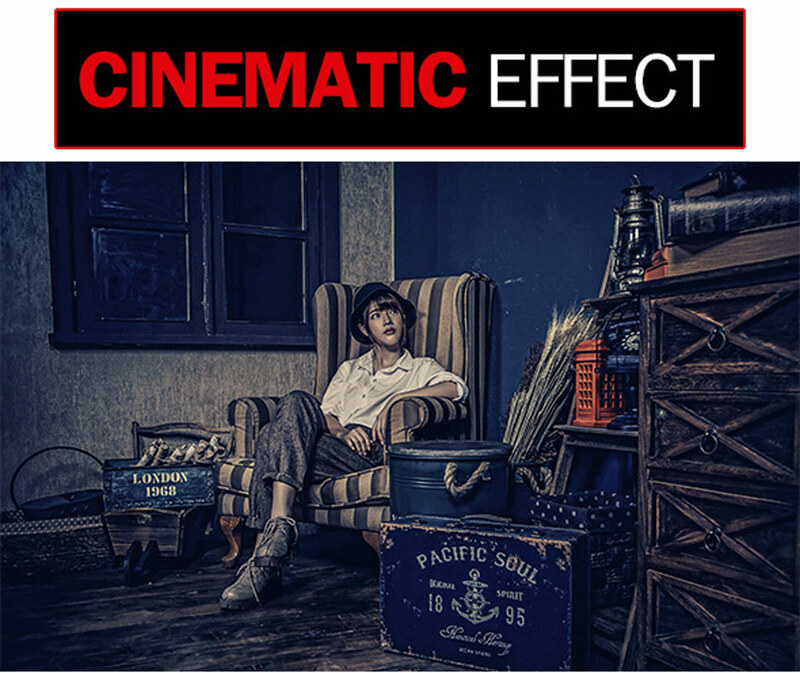 Step back in time with an extraordinary photo effect! 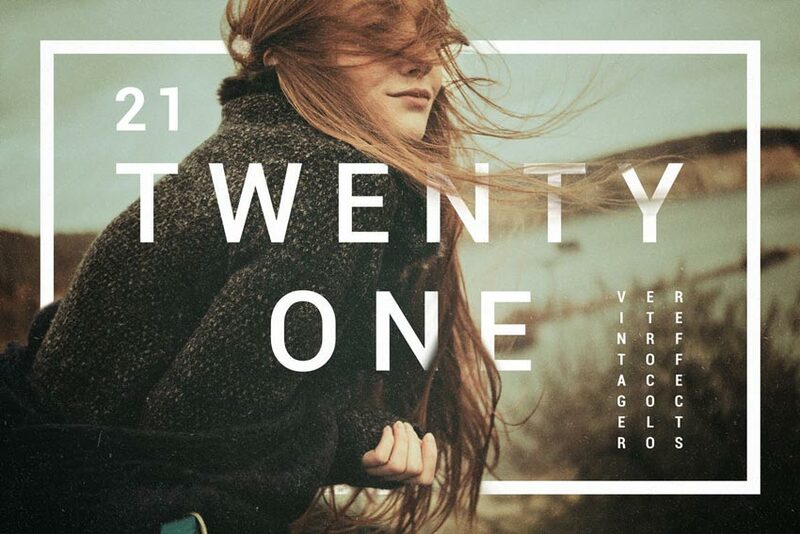 Check out this list of 20 amazing vintage and retro-inspired Photoshop actions. We will always be inspired by retro styles. And there is no better way to honor the past than to pay homage with similar creations. In today’s selection of creative assets, we bring you 20 amazing Photoshop actions that help you apply vintage effects and old retro styles quickly and easily. Add a few cracks to a modern photograph, or apply a beautiful sepia tone. Dive into various stunning styles to add allure and that old-world mystery to your work. Handpicked from the latest premium sections of Envato Elements and Envato Market, these resources are easy to use for both beginners and experienced designers. With the right styling and a quick Photoshop action, you can make any modern photo look believably retro. 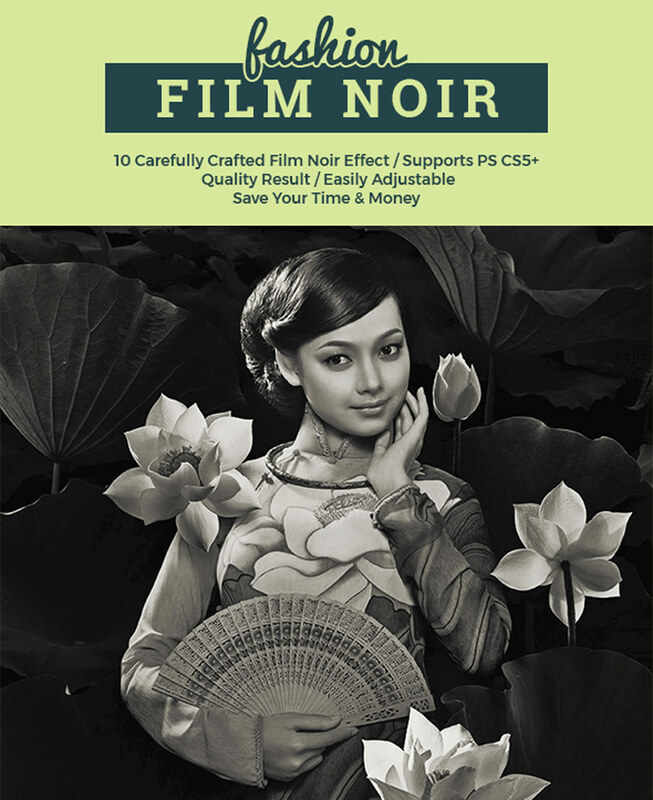 Let’s check out this film noir action, designed to give your work that old filmography look from the 20s. Here I used this action on this lovely Performer Stock from Pixabay. After I loaded the action, I simply applied the faded filter and pressed play. Check out the result below! Our next example features this phenomenal pack of ultra-faded retro effects. 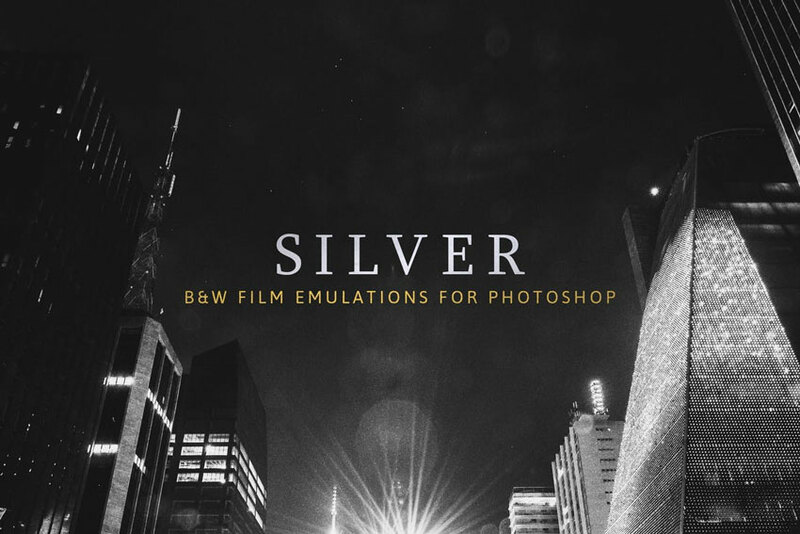 Choose from 75 total effects to add luxurious fades and incredible light leak effects. Just play the simple action to have each effect available for you. Switch between looks to choose the one you want. Here I used the pack on this Bokeh Woman Stock from Pixabay. I started by applying the first light leak for the amazing color effect across the woman, and then I followed up with the “Hibiscus Ultra Faded” action for more drama. Check out the result below! 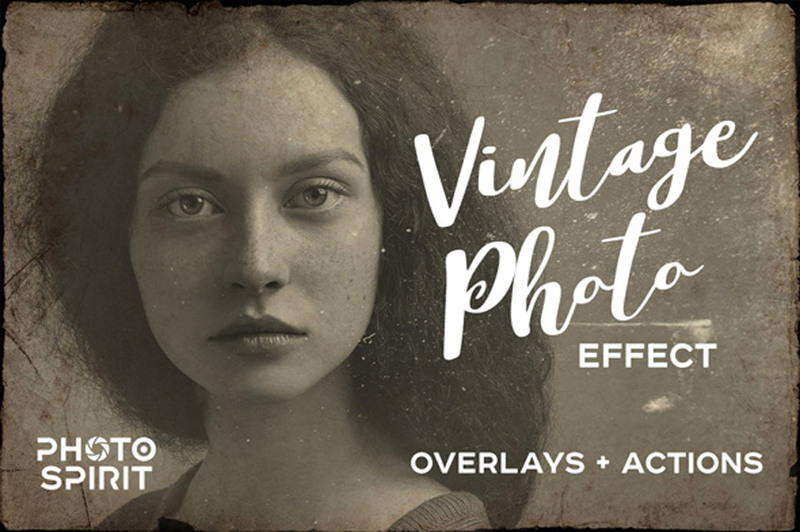 Make your photos look several decades old with this brilliant pack of vintage overlays. A high-quality photo effect that creates a distinguished look, this effect works well on portraits and landscape photos. Just imagine a full vintage set of your favorite photos in only two simple steps! Photograph your best life with phenomenal color effects to match! 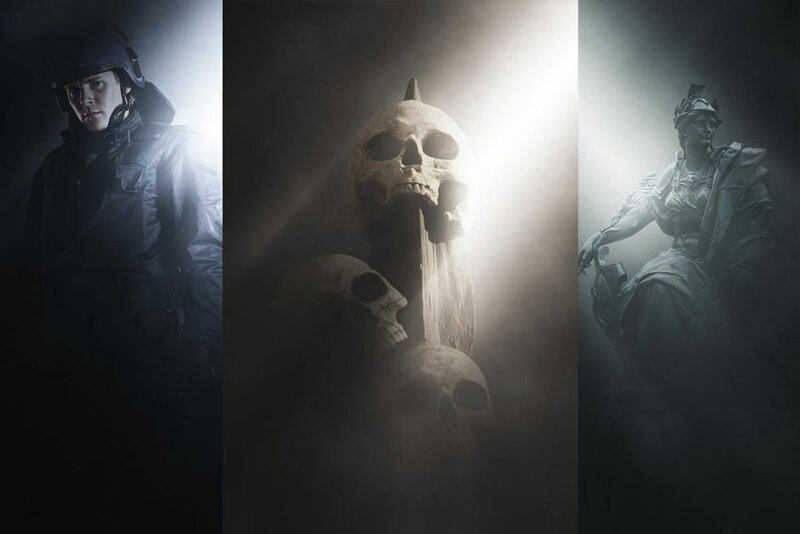 This amazing Photoshop action pack includes 21 vintage and retro color effects that are easy to use and are non-destructive. Create beautiful vignettes, noise, and unique color-graded effects with one simple pack. Add a gorgeous matte filter to your portraits fast! 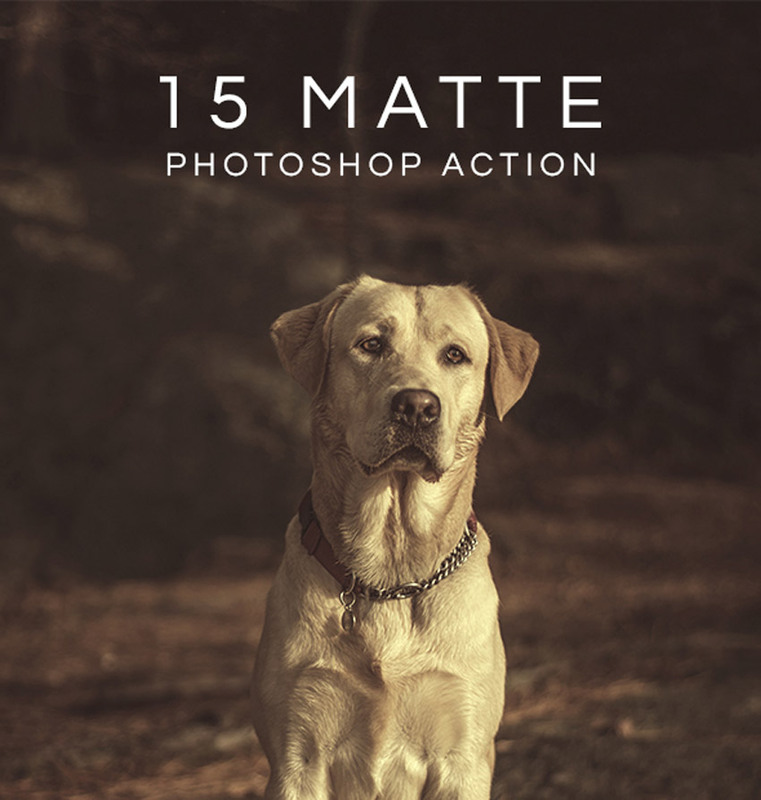 Created for high-resolution photos, this set of Photoshop actions applies 15 stunning effects in just one click. Keep in mind that each effect will look different on new photos, but the result is well worth it. Try it out! 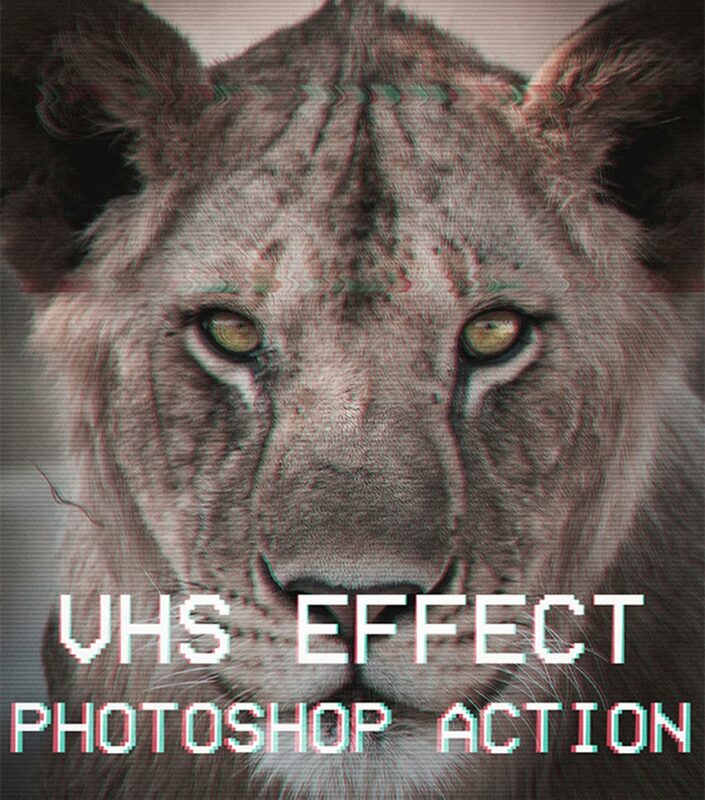 Create eye-popping photos for Instagram and more with this cool VHS effect Photoshop action. Inspired by the days when we had to pop those big tapes into VCRs, this action will give you authentic-looking static lines and a slight glitch effect. You’ll love this one! 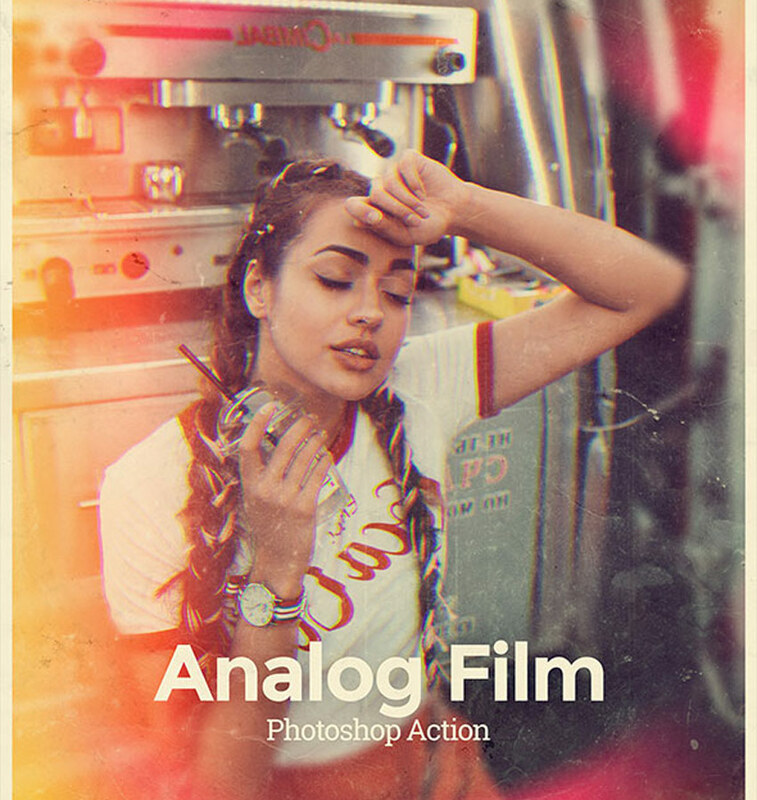 Get the incredible retro look of analog film with a simple Photoshop action. This cool pack features 30 color effects, 16 light leaks and so much more for added retro vibes. Incorporate fragments of dust and even scratches on your work to age them significantly. Try out the vintage look on your modern work with this simple Photoshop action. 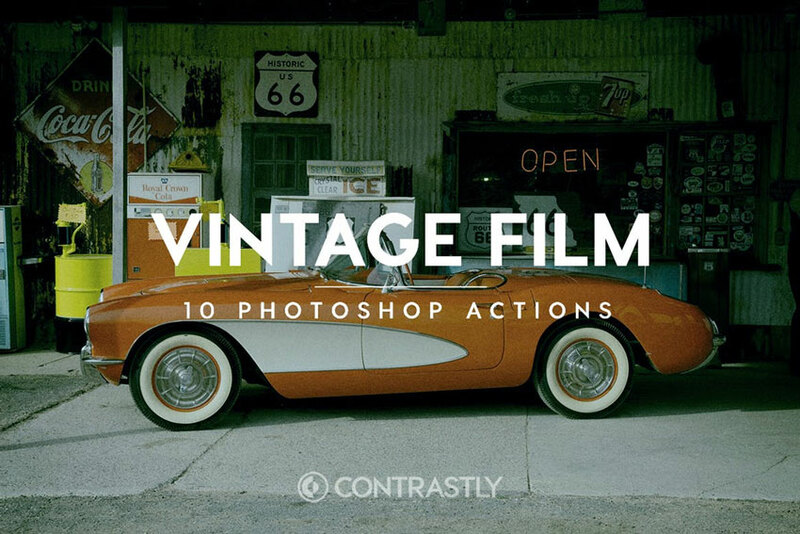 Designed to mimic the look of retro film, this pack of 10 Photoshop actions saves you valuable time and energy. Get inspired by the vintage work of Fujifilm, Rollei, and Kodak film for your own retro photography. Pop art saw the emergence of incredible artists like Andy Warhol in the 60s. 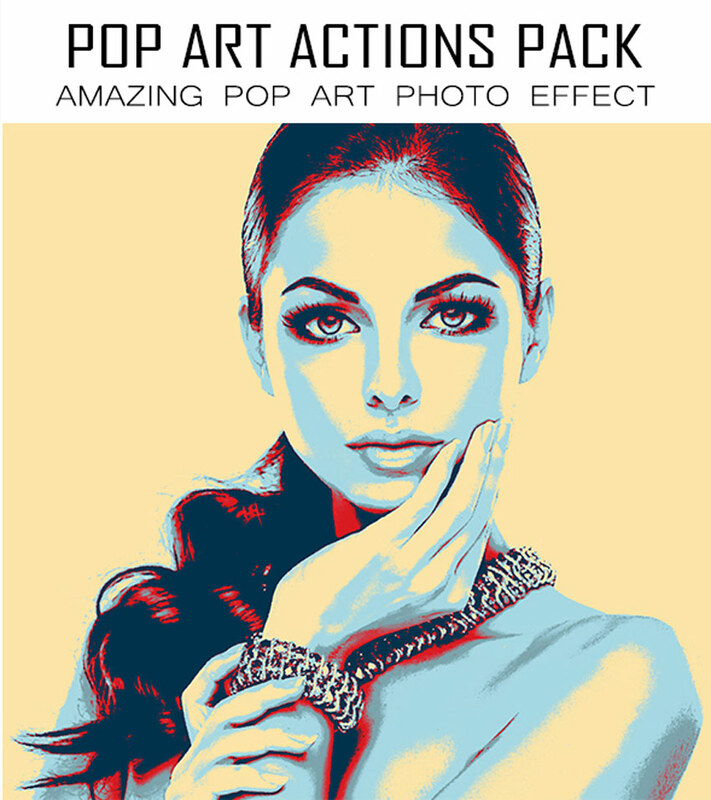 And you can recreate his famous pop art look with this amazing Photoshop action pack. This suite includes 10 official Photoshop actions with 40 awesome gradient colors to transform your work. Great for t-shirts and posters! One of the best ways to achieve that vintage style is to get inspired by dramatic cinematography. This Photoshop action helps you create that realistic look with a non-destructive effect that is easy to adjust. Use it on personal photos, commercial shots and more for an incredible result! Vintage photography was all about dramatic lighting. 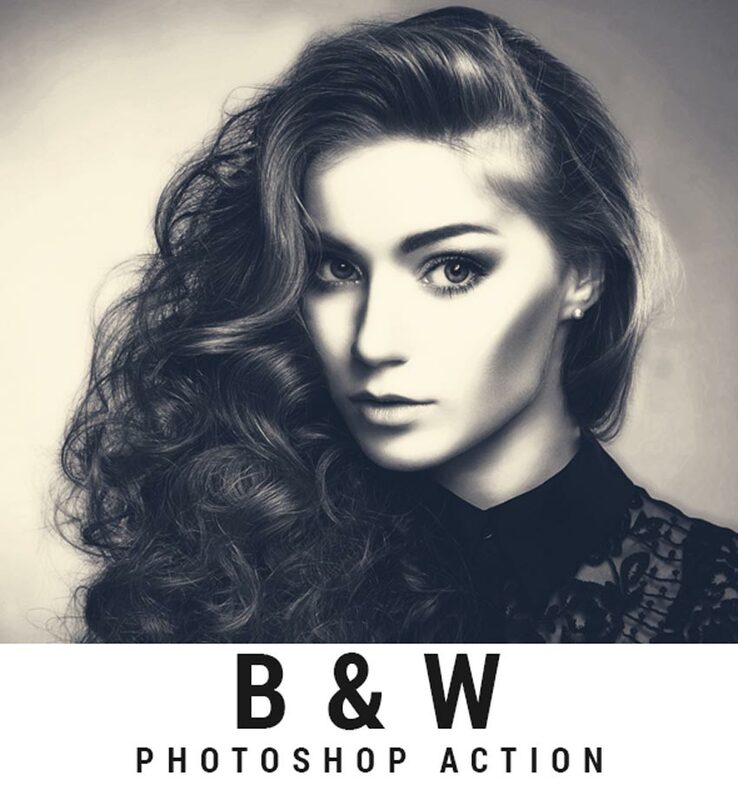 You can achieve that same fierce look with the Myth Photoshop action. Create a moody spotlight effect with light spilling in from any angle. Just fill your subject with color, and then play the action to enjoy this effect! Black and white photography was the first type of photography we saw from this medium. Now recreate that mysterious retro look with this amazing Photoshop action. Simply load your favorite portrait or photo into Photoshop, and play the action. Enjoy the awesome result in seconds! Do you believe in ghosts? 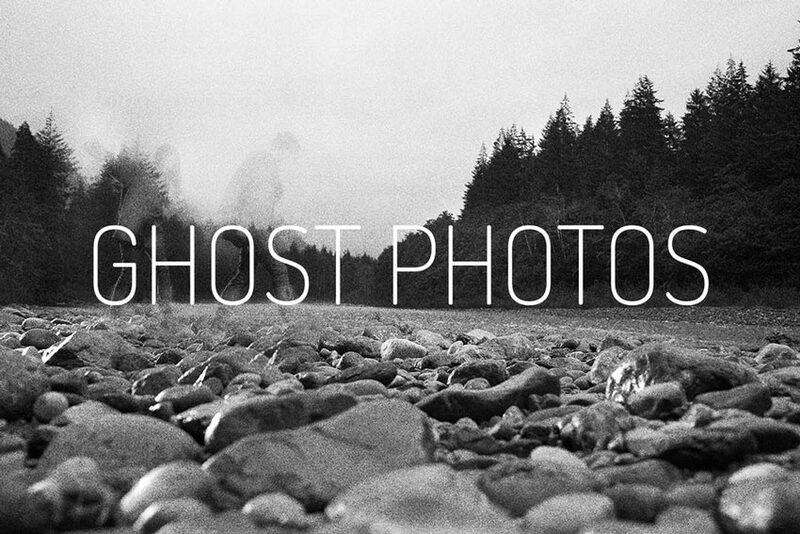 Now you can explore eerie paranormal effects with this cool ghost photo creator. Surprise your friends and family with old ghostly photos of you and your buddies. Just apply this one step action to get access to 10 scary photo effects. Add unique and realistic film grain emulations to your photography fast! 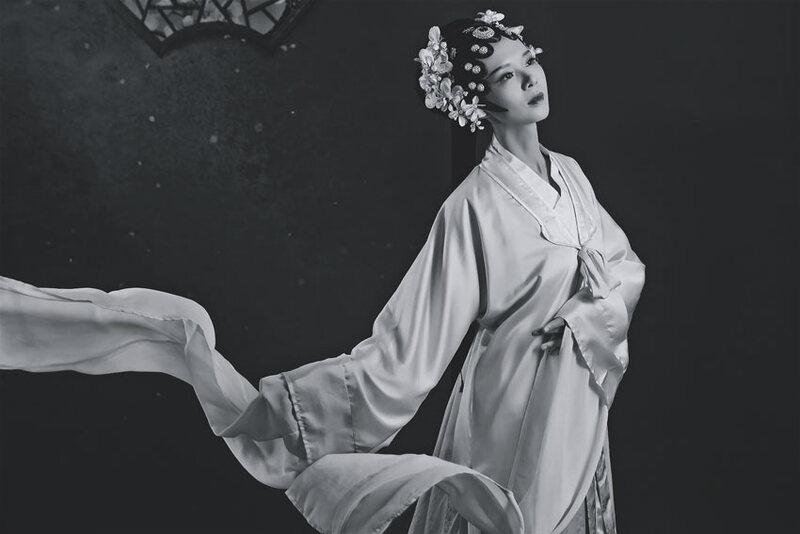 This professional action has been calibrated to mimic retro film with 28 black and white films and 15 contrast effects. Bring your cityscape and landscape photography to another level with this awesome action. One of the biggest tells of vintage photography is the amount by which the photo has faded over time. 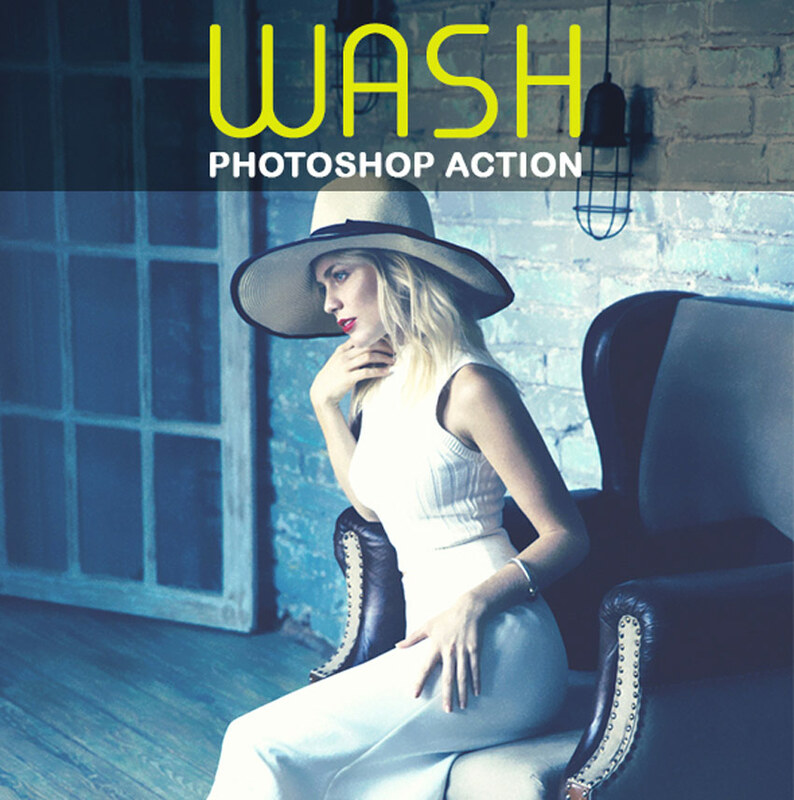 You can recreate that washed-out look with this brilliant, one-step Photoshop action. Designed and tested for Photoshop versions CS3 and above, this action is smart and easy to apply! 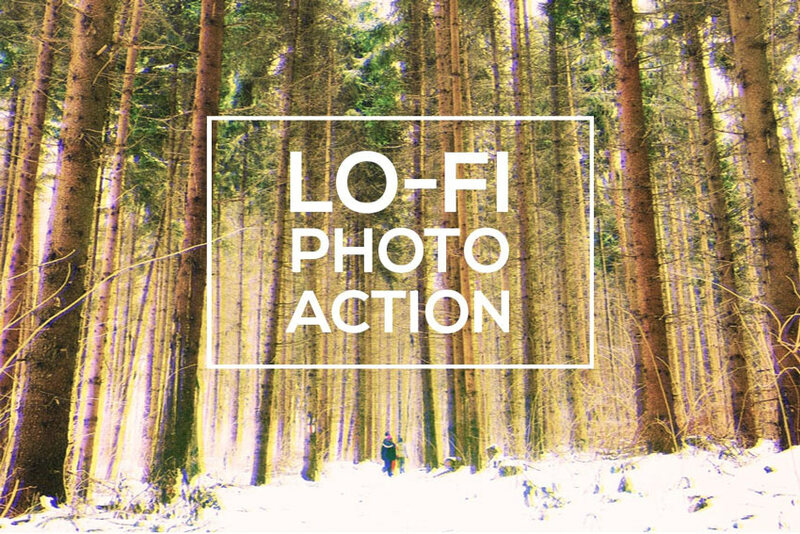 Take your audience through a mysterious visual story with this Lo-Fi Photoshop action. Featuring three glitch types and several grains, this action lets you distort your photos in a cool, subtle way in no time at all. Save countless hours with this premium action! Some of the coolest vintage photography out there is incredibly dark and surreal. 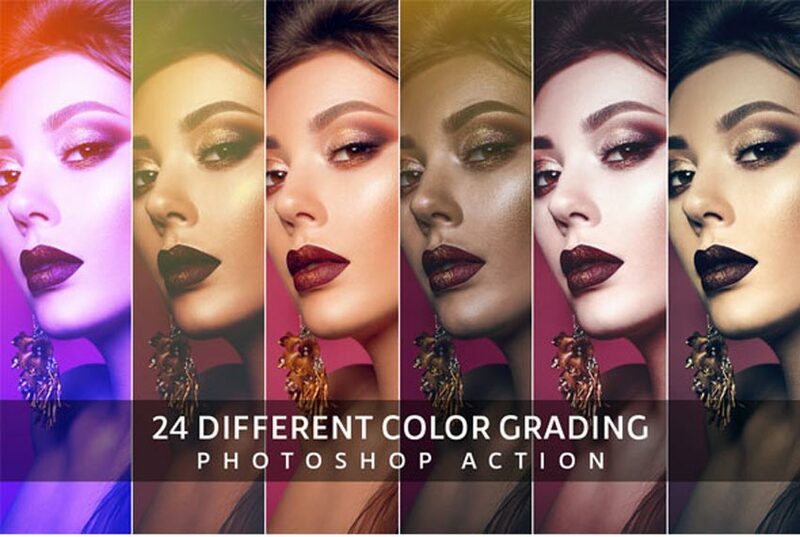 Now you can achieve that fantastical look with this Taboo Photoshop action. 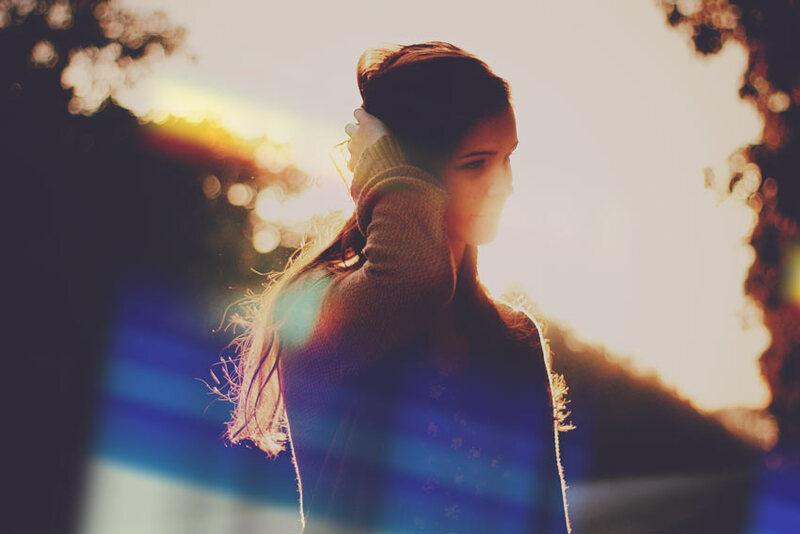 Enhance portraits with high-quality presets to add fantasy and mood to your work. Give it a try! The easiest way to create jaw-dropping photos is to learn more about color grading. With this high-quality action, you can apply 24 different color presets that are customizable and non-destructive. A simple user guide is also included to help walk you through each step. 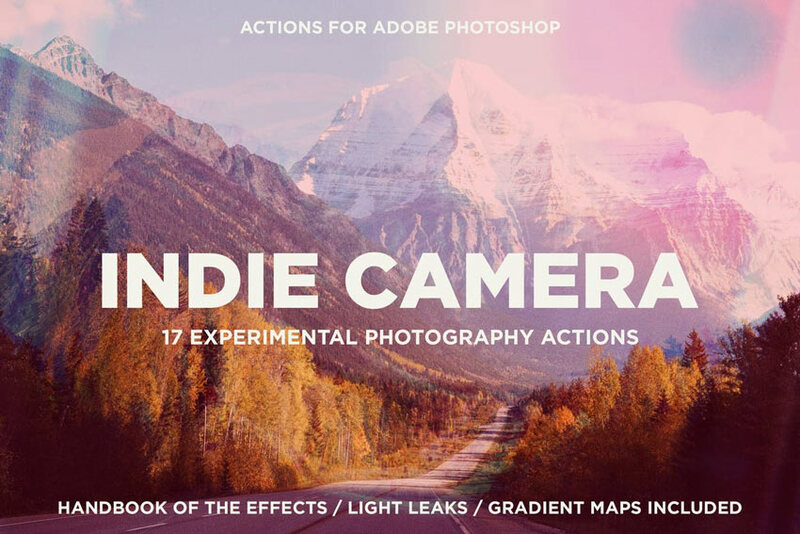 Become the indie photographer you’ve always wanted to be with this awesome Photoshop actions kit. Featuring 17 experimental actions for any photography lover, this suite is easy to customize and use. 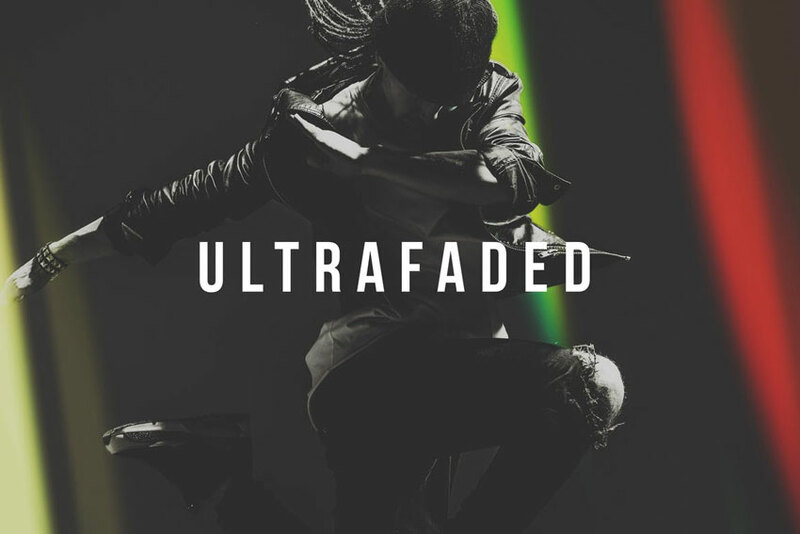 Enjoy over 100 gradient maps to choose from for stunning indie color effects. Can’t decide on the retro effect you need? Then download this fabulous photo kit! 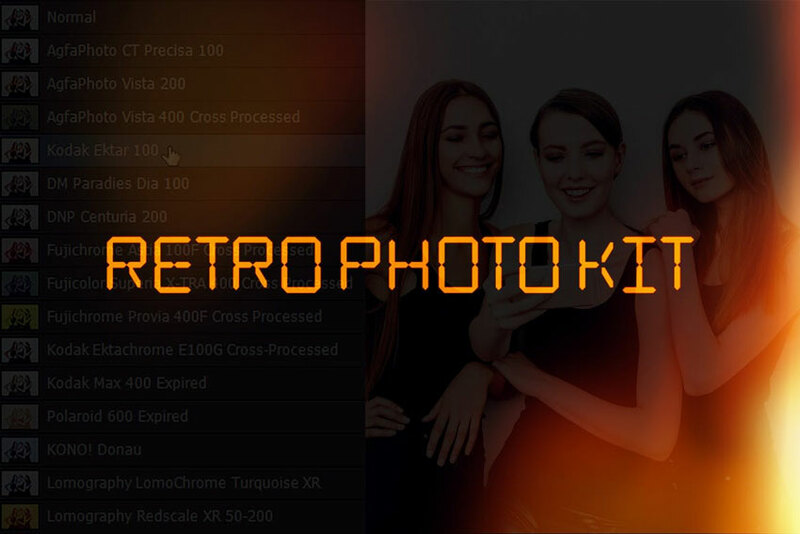 Included in this kit are 15 film Photoshop actions and 10 beautiful light leaks to help you create retro effects fast. Enjoy bonus additions like a retro date stamp and vintage font for more appeal! Show Us Your Vintage Designs! Tried any of these assets? Let us know! Tell us your favorite vintage photo effects in the comments below. This has been a collection of premium resources perfect for the avid designer. For more Photoshop vintage photo effects, check out Envato Market and Envato Elements, or enlist the help of our talented professionals at Envato Studio. Happy designing!